Goddess of Mercy, draws parallels between two vastly different families, mothers and sons, and four different faiths. 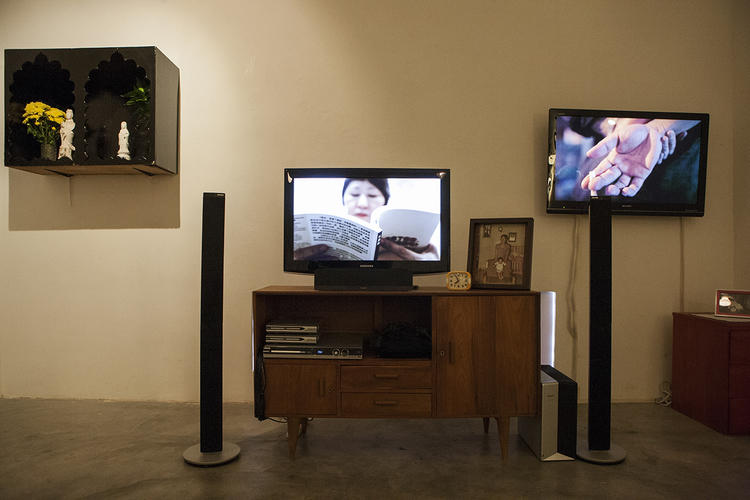 It is presented by recreating of two living rooms, simultaneously playing four videos revealing scenes of daily life from mother and son, that seem to echo each other. The video installations reflect upon how our experiences affect our faiths and actions, suggesting rituals as a necessary healing and coping mechanism. A commissioned by the M1 Singapore Fringe Festival 2012: Art and Faith.